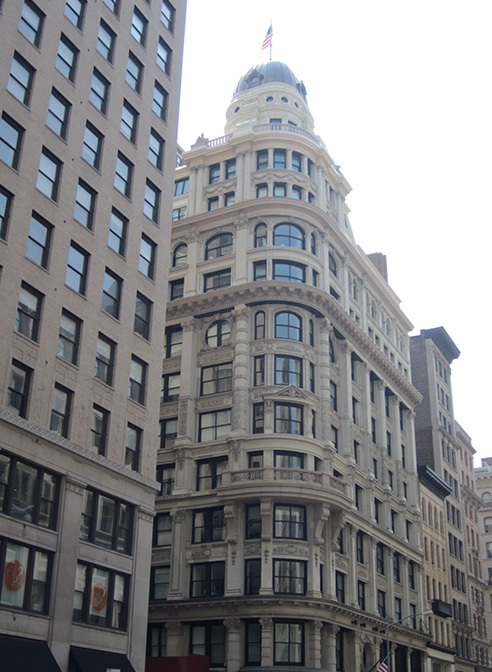 141 Fifth Avenue in the Flatiron District of NYC is a striking building against the modern cityscape of Manhattan. 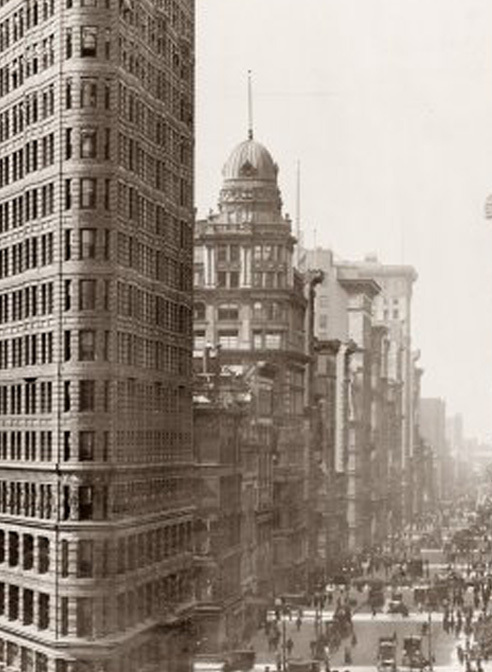 The southern portion of the building was designed by architect Robert Maynicke and built in 1897; the northern portion was extended in 1900 by a different architect, Henry Edwards Ficken. For the first 100 years the building was used as a commercial space before being purchased in 2005 and turned into the condominiums that exist today. 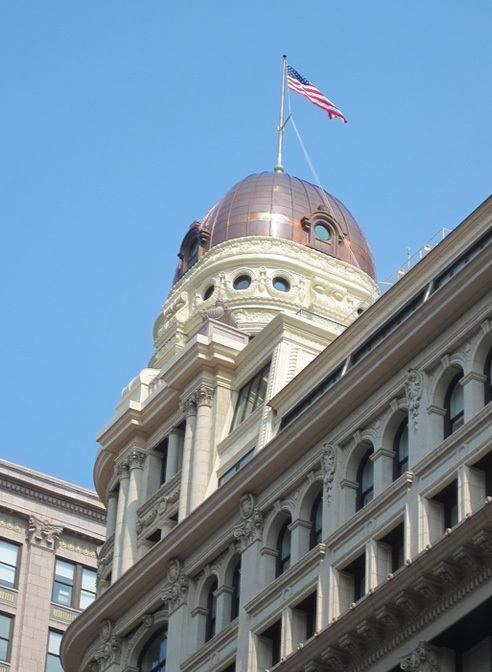 The condominium space of this building includes 38 units, one of which includes the dome and cupola space. 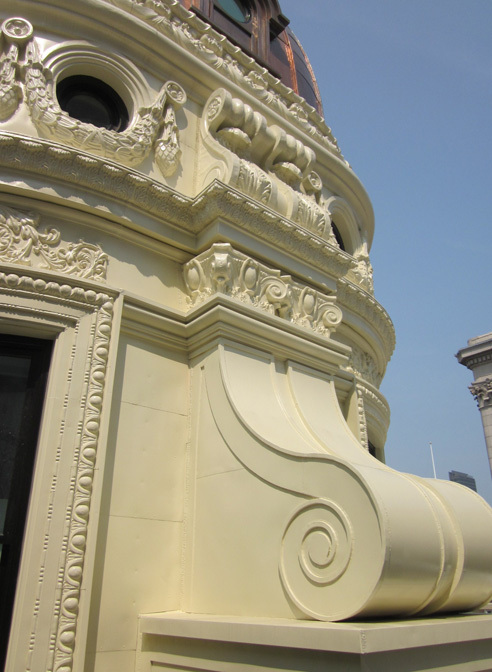 Heather & Little was excited to work on this piece of New York history when the domed metal cupola at the penthouse level required a decorative sheet metal restoration. We teamed with Nicholson & Galloway Inc. of Glen Head, NY to complete this project. Heather & Little realized early on in this project that keeping the building’s historically significant appearance was of vital importance. We worked diligently to reproduce old elements of the decorative sheet metal work and keep with its timeless style. 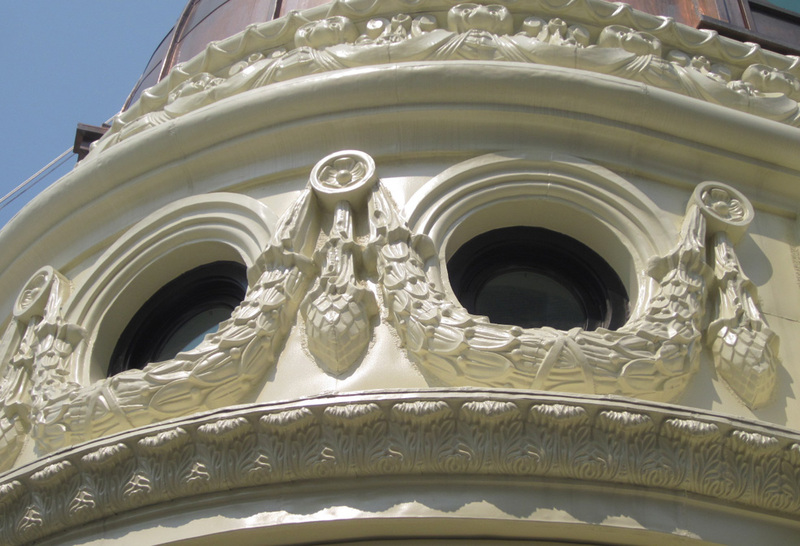 Our restoration included items such as pressed cornices, dormer ornaments, shields, capitals, stamped copper elements, garlands, and window ornaments. The original cladding was done in a painted galvanized sheet while the new covering and all of the decorative stampings in 20-ounce copper sheet for all of this project, as it was both the best choice for durability and historical accuracy. 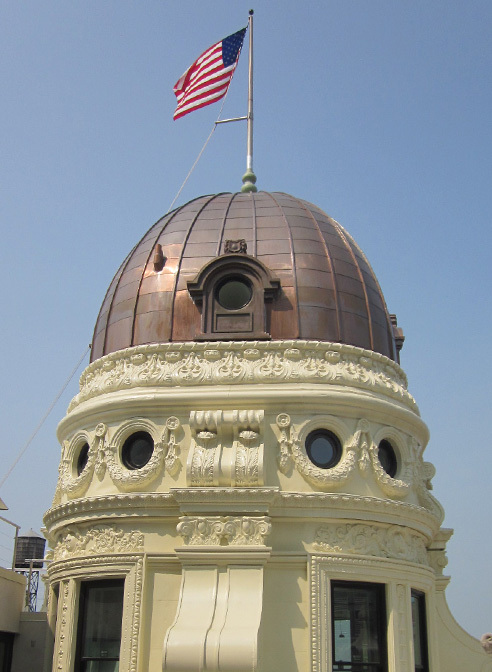 Once completed all of the new copper was painted with the exception of the dome. 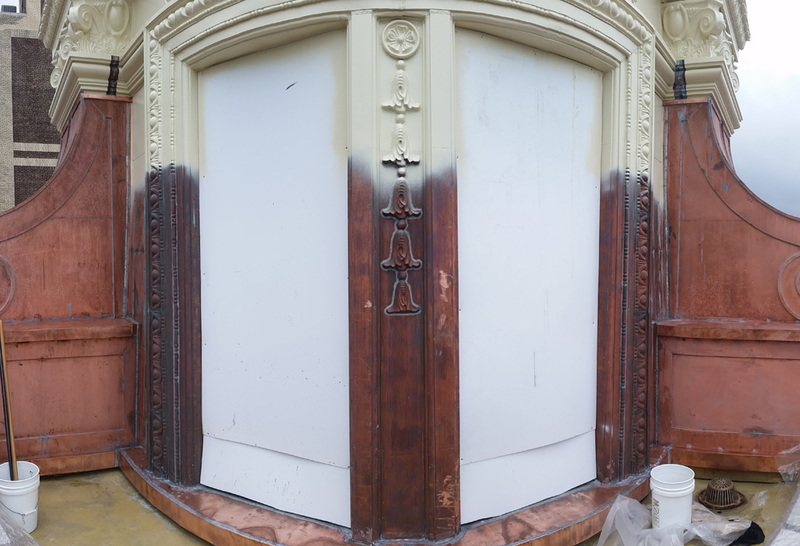 For more information about this decorative sheet metal and cupola restoration, view the images below.